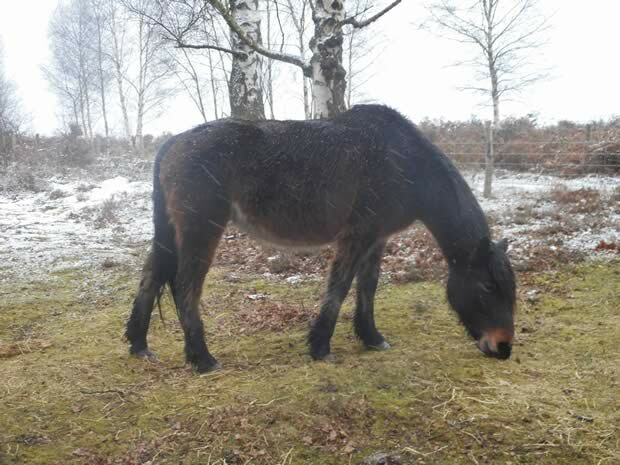 Attention Natural England Ponies don't eat mature trees, birch saplings or big old gorse bushes unless embarrassingly thin and starving hungry. Castle Bottom National Nature Reserve is a former common, now 'de-commissioned' , fenced in and grazed. 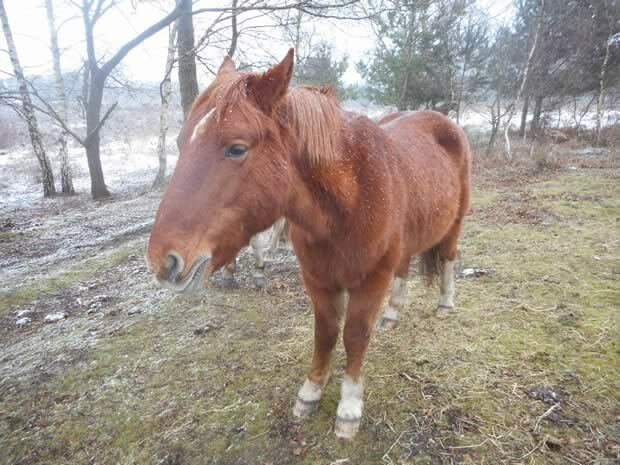 It is 71 acres and currently has four moorland/forest ponies grazing on it under the management of Hampshire County Council. Now you know that good old fashioned rule of one horse one acre? 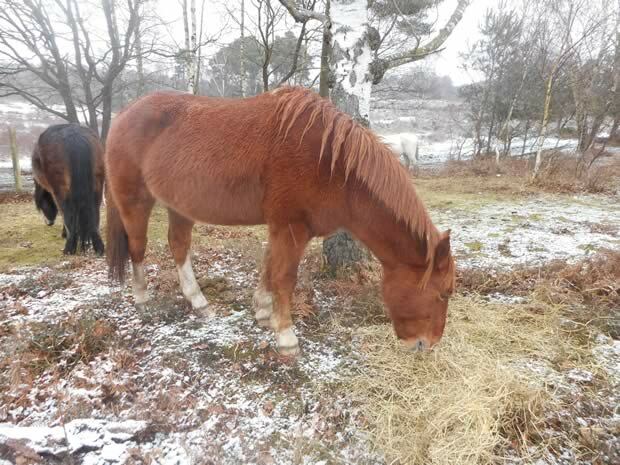 Well these four little native ponies, despite being on seventeen times the recommended grazing area and our district experiencing barely 4cm of snow are receiving supplementary feed in the form of hay! Bit of an own goal for supporters of conservation grazing! I believe there was a time when Natural England said additional foodstuffs and forage couldn't be given to conservation grazing stock because it changed the chemical content of their poo with adverse affects to the ecology of the sensitive SSSI land. I guess they've finally realised ponies don't eat mature trees, birch saplings or big old gorse bushes unless embarrassingly thin and starving hungry. It looked pretty painful eating young gorse in August. I wonder if this change of management philosophy means they are going to use Ivermectin wormers on them now as well as previously they've said they won't worm the stock until it leaves the reserve. It's CROW land and the signs are up to say dogs must be on leads when stock are grazing and during breeding time for the birds (February to August), which if they are going to keep the stock out there all the time means the area loses all appeal for the vast majority of dog walkers. There's only a footpath through the middle with permissive paths off of that so cyclists and horseriders are already excluded. And then they talk about a nation of obese children and unfit adults - is it any wonder!